Today was a day of inspiration. We rose at 4am and flew from Addis Ababa to Bahir Dar. We then spent many hours traversing bumpy rural roads on a bus. Our first two stops were the Madera Woreda Health Office and Anbesame Health Center, which both benefit from USAID funding and have subsequently made great strides in providing maternal and child health, family planning, and nutrition services in rural areas. Our third stop was to the Sene Mariam Women's Beekeeping Group, a program that is funded by USAID's Feed the Future initiative and that was developed to provide training and create jobs for disadvantaged women. I was inspired not only by how impacting USAID's programs are, but by the courage of the women we met at all three stops. 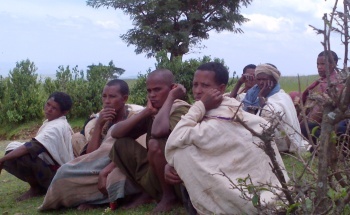 To back up briefly: last night we met some incredible folks from USAID Ethiopia. They are smart, passionate, dedicated, and pretty much made me want to go for a third career in foreign service. Did you know that US foreign aid totals less than 1% of the US budget? In the grand scheme of things, it's a small amount on the US side, but if that amount is cut from the budget, it has huge global ramifications. All I'm asking is for you to hold this nugget of awareness with you, share it with friends when relevant, and consider lending your voice to lobby for this continued support in the future. 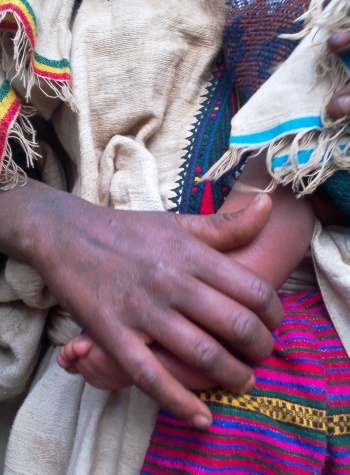 Ethiopia's women (and children) are suffering. 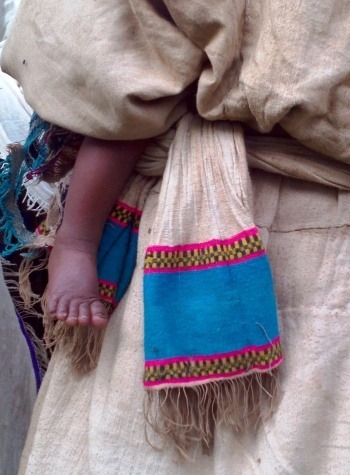 Despite significant improvements in the past 20 years, they still struggle with comparatively high maternal and child mortality rates as well as malnutrition. Access to health services is the major barrier and this is where the women come in. USAID and the Ethiopian government have implemented a program involving satellite health centers + health extension workers. In today's example, the Madera Woreda Health Office is the health care hub (e.g., a large one-story facility with multiple treatment rooms) and the Anbesame Health Center is one of the satellites (two small connected rooms). Women are trained to become health extension workers so they can become educated, earn wages, and provide basic yet critical care (e.g., prenatal check ins, nutritional education, family planning education) to those who otherwise would not be able to make the journey to the health care hub. As an independent businesswoman, our visit to Sene Mariam Women's Beekeeping Group moved me to tears. These women first came together as a financial savings collective (they help each other out in hard times) and have evolved to work towards sustaining their families via USAID's Feed the Future beekeeper program. What I found particularly striking is that these women are both taking courageous strides by investing time, energy, and faith into a program where they do not receive immediate gratification (it takes over a year to get the bee colonies going) and forging new territory by being the negotiators behind selling their wares -- a job typically reserved for men. The group currently implemented 40 hives in 2011 and will bear their first product in the spring of 2013. I want to find a way to donate a hive or at the very least find a way to buy some of their honey! Stay tuned. One of the other women noticed what I was doing and looked at me with a curious expression -- I turned my phone around to show her and the other women the picture and the group started clamoring around my phone, laughing hysterically! Then one of the other women motioned me to the other mom -- she uncovered the baby's foot and pointed at it. I took the below picture, showed it to them, and we all stood around laughing like crazy people. It was the perfect ending to a day filled with exposure to the challenges of a distant culture juxtaposed against enormous progress at the hands of women. And ultimately, despite our many differences, we found our common bond as moms: ogling baby feet.